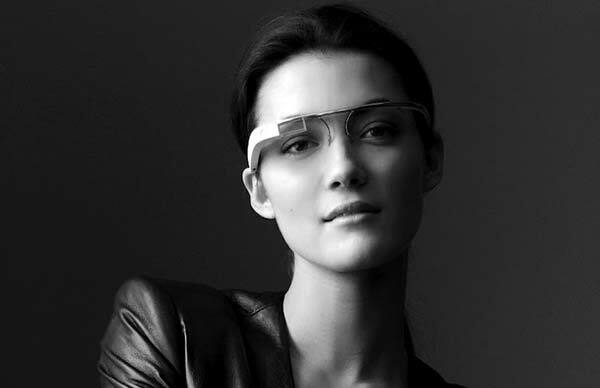 The hype is building around Google’s new Project Google Glass initiative. This new journey into the world of augmented reality with Google’s small wearable AR prototype glasses has captivated the minds of journalists and audiences alike. The future, it seems, is here now. Or at least, the future is here soon, with an expected roll-out to consumers of somewhere towards the end of 2012. I’m surprised though that the Project Google Glass demo video has still only received about 15 million views. Comparing a project of this nature to Bieber’s 700+ million views for his music videos is does make me wonder a bit about where society’s attention is most likely to find a home… There are obviously still some bugs that need to be ironed out around the edges, and there’s plenty of spoofs that play up the whole idea of Google’s advertising juggernaut being given a direct feed into our personal lives. After all, who’s to say that we find the AR overlays to be a pleasant value add to our need for information, or whether it would be more of a constant intrusion into the moments of peace and quiet reflection that we might otherwise enjoy. Nevertheless, the greatest thing about this project is that it takes a very significant step towards our progression into a world of technological advancement. As Paul Milgram explained in 1994, Augmented Reality exists as a category of displays on the Reality-Virtuality continuum. Extrapolating out from this concept, we are able to imagine an infinite number of manifestations of augmented reality or augmented virtuality states of experience. What this means for projects like Google’s latest undertaking, is that we as consumers and demand drivers will have the ability to mandate that we are able to access AR interfaces that we want and like. There are some big ticket items that are obviously going to mean a lot of change to the way we do things, but there are also some other more incremental changes that we should see being rolled out with the adoption of this technology. So what some of these benefits? What are the fringe features that we can expect to see with this type of technology? I’ve done a bit of pondering and have come up with a few of the smaller ways that I think this technology would add value to our lives. Have you ever had the experience of being on a bus, train, or waiting in an airport lounge and wanting to check your smartphone or laptop? Do you feel the prying eyes of the people sitting in the seats adjacent to you? Do you know that if you were actually to look at their faces then their head would be pointing straight ahead but their eyes would be possessed by ravenous curiosity as they look to the side and soak up every last word of that message to your partner, or boss, or tax department? With high quality AR enabled glasses this would no longer be a problem as your viewing world would become personal and accessible only to you. I’m still as yet undecided about whether or not governments will outlaw or promote the usage of AR devices when driving a motor vehicle. Surely looking at a map through an AR device would be safer than looking at a GPS Navigation system or opening an old fashioned street directory, given the fact that you will still have the road in your field of vision with the AR device. That being said however, law makers are sometimes surprising, so perhaps the usage of these devices will be outlawed for driving. I think a world in which they are permitted will be one where there are less accidents caused by mobile phone and navigation system usage. Imagine you decide to undertake a home renovation project. Perhaps you want to renovate your bathroom, but you haven’t ever renovated a bathroom before. With the old school way of doing things you would buy a book, or perhaps search on Google, find some instructions, and start ripping out tiles, bending pipes, hacking away at previous cabinet fixtures. Undoubtedly there would be moments of frustration where the diagrams in the guides seem to bear zero resemblance to the bathroom you find in front of you. Now imagine an AR enabled bathroom renovation project like Google Glass. You don your glasses, look at your bathroom, and your home renovation software is able to interpret the state of your bathroom and make intelligent recommendations and decisions through its image recognition technology. I’m sure that these types of applications will become quite widespread as the technology matures.